Chelsea’s No 1 goalkeeper Thibault Courtois has reportedly indicated he wants an exit from the club during a meeting at the training ground. The 26-year old goalkeeper was recently said to have generated interests from big clubs after his outstanding performance in the 2018 FIFA World Cup and among them is Spanish Giant Real Madrid. Real Madrid have wanted to sign Courtois this transfer window and the Belgian has shown interest in wanting a move to Spain after he claimed he would love the idea as it will enable him stay close to his two children. Following the Sunday defeat Chelsea faced in the Community Shield by losing to Manchester City, Chelsea’s coach Maurizio Sarri insisted he would want to speak with Courtois before a decision about his transfer was made. Meanwhile, as at last week, Courtois agent Christophe Henrotay claimed the Belgian has already made his intentions of leaving known. In an interview with journalists, Sarri said he has nothing to do with the agent but would prefer speaking with Courtois. 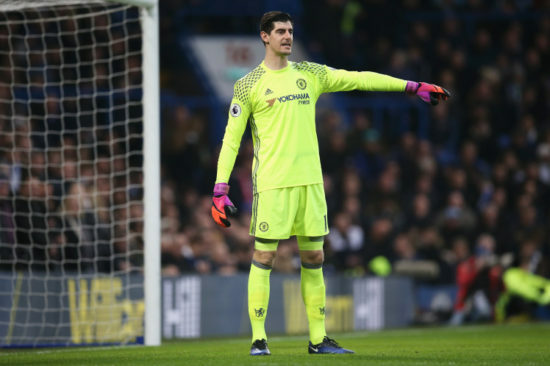 Reports from ESPN stated that Courtois has now made it clear he wants an exit during the meeting at the training ground but Chelsea appears to be reluctant to lose the goalkeeper. However, if a decision isn’t made soon, Chelsea risk losing Courtois to Madrid on a free transfer next summer as his contract with Chelsea expires by the end of the season.